Light up your lawn with these glittering snowmflake gift boxes. 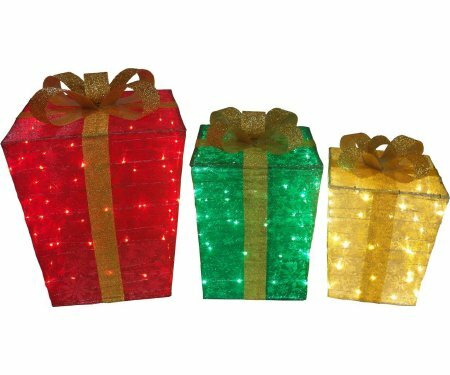 Set of 3 pre-lit boxes are a perfect addition to any display and have a brilliant glow with 150 matching color LED lights. Boxes measure 25", 21", & 17"
Boxes come pre-lit with a total of 150 matching color LED lights.